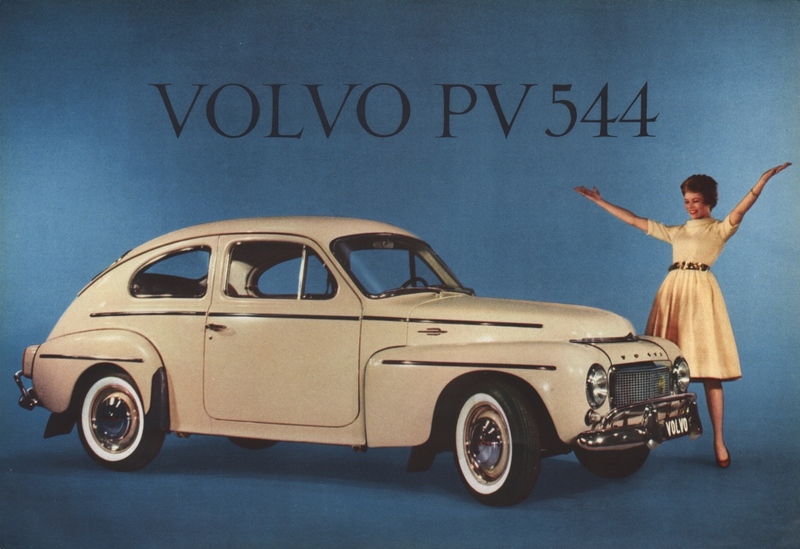 Sales brochure for the 1959 Volvo PV 544. As the back says, This sensational Swedish-built 5-passenger sedan combines the high speed performance of a sports car with the safety, roominess and comfort of the ideal family car. Under the hood is a 85hp 97ci 4-cylinder engine which gets 35 miles to the gallon.